Jacob Temple (M.M., 2015; B.M. 2013) is currently serving as Assistant Music Minister at St. Bridget Catholic Church in Richmond, VA. Prior to his current appointment, he held postitions as Director of Music Ministries at St. Benedict the Abbot in McMurray and Director of Music Ministries at St. Margaret of Scotland Church in Greentree. Temple reminisced on his decision to attend Duquesne, saying, "When I was applying to schools the summer before Senior year, I thought I knew exactly where I was going to go. 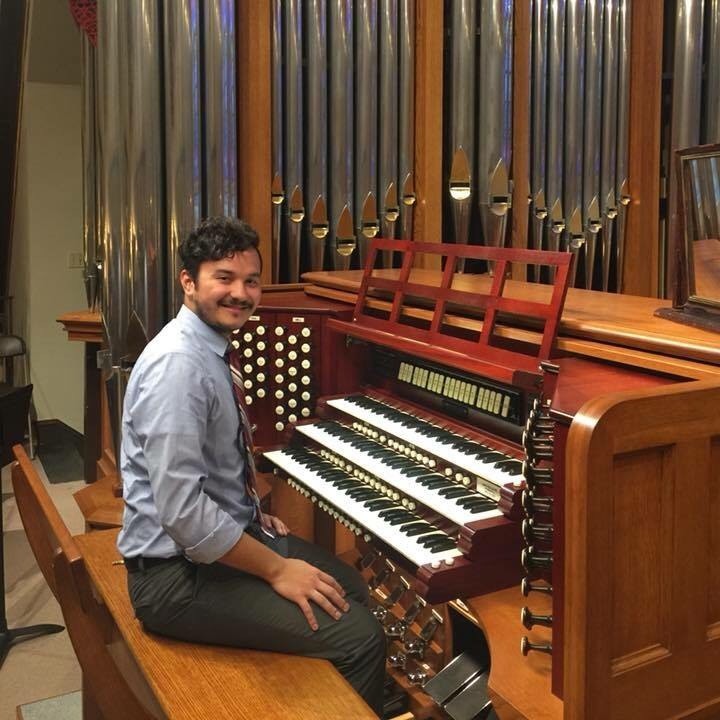 The previous summer I had attended the Canon Music Camp at Appalachian State University and studied with organ teacher Joby Bell. I auditioned at 3 schools, was accepted to 4 schools, and ultimately decided to go to Duquesne because of the welcoming and friendly nature of the students, graduate assistant, and of course, Dr. Labounsky."